Experience the art of relaxation at Ste. 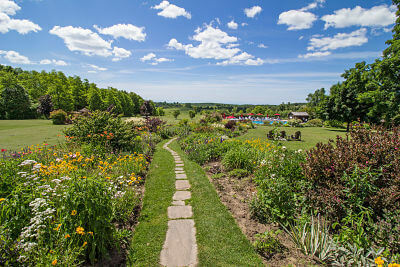 Anne's Spa - an unpretentious, welcoming country property located in the Northumberland Hills. Guests are invited to "let down their hair, slip into a robe and leave their troubles at the door" and the warm and friendly atmosphere really does encourage you to put aside your daily cares and be yourself. There is a range of accommodation available for your babymoon break, from the 15 rooms in the Main Inn - which feature private bathrooms and fireplaces - to the uniquely decorated and romantic spa cottages. Why not celebrate an all-inclusive babymoon in exquisite luxury at the 5 star Couples Resort, where everything is designed just for the two of you? For the ultimate peaceful interlude before two becomes three, this couples-only resort offers outstanding accommodations, exceeding 5 star/5 diamond ratings in terms of room size, amenities AND facilities. Providing the perfect place to unwind and reconnect, all rooms feature a romantic wood-burning fireplace and private balcony, with 2 padded chaise longues. 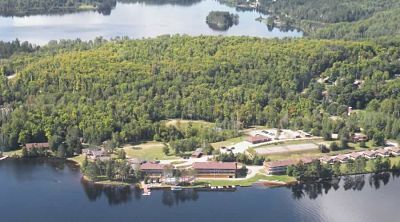 Surrounded by breathtaking wilderness, the resort sits on the shores of Galeairy Lake and the Madawaska River. Enjoy the pure air, romantic strolls in secluded forests and the pristine waters of the area as you await the coming birth of your little one. Hockley Valley Resort is a breathtaking hideaway just 45 minutes outside of Toronto in the scenic hills of Headwater. This luxurious retreat is the perfect setting for a relaxing babymoon vacation. 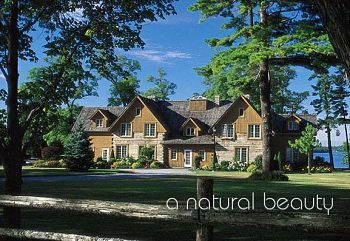 The majestic Eganridge estate overlooks Sturgeon Lake in the Trent-Severn waterway and is surrounded by natural beauty. From the call of the loons in the morning to the stunning lakefront sunsets in the evening, a stay at this Inn and Spa ensures you really do 'get away from it all' and leave feeling refreshed and rejuvenated. An impeccable golf course provides entertainment for Dad, whilst the mom-to-be can enjoy a pampering session, selecting treatments from the Inn's extensive spa menu (there are men's treatments, too, in case Dad feels left out!). Whilst Eganridge doesn't offer a traditional babymoon package, it DOES offer a range of alternative packages that would really fit the bill for a perfect pre-baby getaway. The 'Romance Package', for example, includes such treats as fresh cut flowers and chocolate dipped strawberries, whilst the 'Spa and Dinner' package checks all the boxes for an expectant couple seeking the ultimate in relaxation before baby comes along! 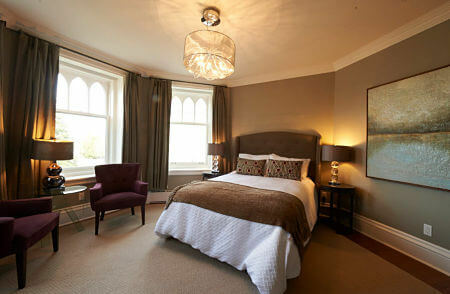 This beautiful, historic Inn is located in Picton, in Prince Edward County. Nearby conservation areas and Provincial parks allow you to enjoy the natural beauty of the region, whilst the inn itself offers landscaped gardens, a tranquil pond and waterfall, plus an outdoor salt water pool and hot tub. The inn's luxurious rooms are individually decorated, featuring queen size beds, luxury linens, charming gas fireplaces and private spa-inspired ensuites. Fine food is a particular highlight of the Inn, with a hand-crafted menu prepared by Chef Chris Wylie using the freshest County ingredients.